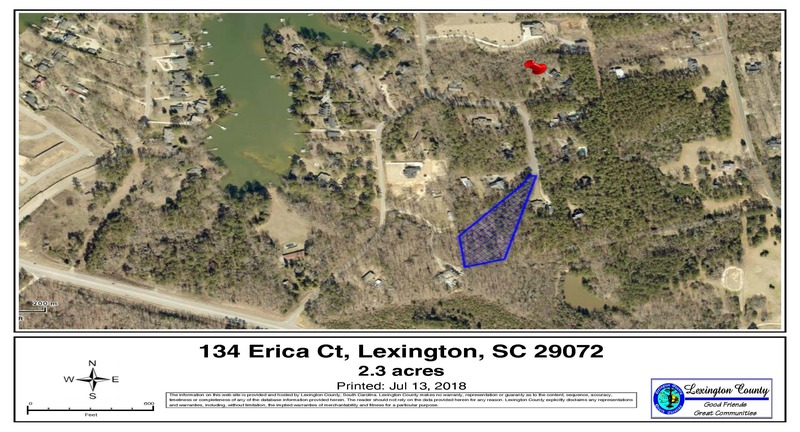 134 Erica Court in Lexington, SC is just a short distance to Lake Murray, SC. It's located approximately 20 miles to CAE Airport and downtown Columbia, home to the University of South Carolina; 25 miles to Aiken, SC and 32 miles to historic Newberry, SC. 134 Erica Court is a large wooded, cul-de-sac lot in the private subdivision of Fox Trail. With lots of privacy, this wide and deep lot is a great location on which to build your dream home. 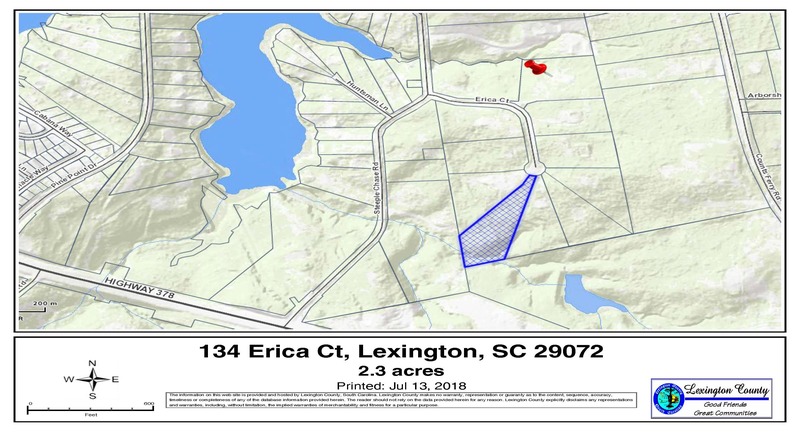 The plat shows 2.21 acres and deed states 2.3 acres. The property is zoned for Lexington One schools: Rocky Creek Elementary, Pleasant Hill Middle and Lexington High. Because of location, it will likely be zoned for the new middle school currently being built on Hwy 378. The lot needs a well and engineered septic system but it's the perfect opportunity for acreage AND Location. Lexington is one of the fastest growing areas in the state, leading the way in healthcare, education and recreation. The nearby capital city of Columbia offers live entertainment and educational opportunities at the Koger Center, the Colonial Life Arena, Riverbanks Zoo and Gardens, the State Museum and EdVenture Children’s Museum. Centrally located in the Midlands, one can easily reach the beach or the mountains in less than three hours. 134 Erica Court is stone’s throw from fishing and recreational activities on beautiful Lake Murray, the jewel of South Carolina. With over 500 miles of shoreline and 50,000 acres of recreational water, Lake Murray is home to many annual events including professional bass fishing tournaments, sailing regattas, the annual Tour of Homes, and holiday fireworks displays. With an average temperature ranging from 56 degrees in January to 92 degrees in July, Lake Murray visitors and residents enjoy a perfect climate for year-round outdoor recreation! 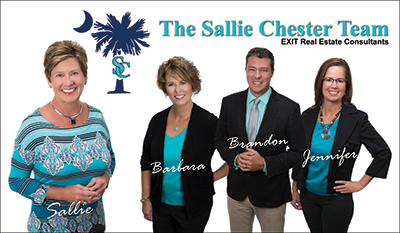 Lexington, SC Real Estate - The Sallie Chester Team of Exit Real Estate Consultants​. With an emphasis on real estate sales on Lake Murray SC and off-water properties in Lexington, SC and surrounding areas, Sallie Chester and her team of professional REALTORS® utilize EXIT’s cutting edge technology along with old-fashioned customer care to provide each client with exceptional service. Sallie lives on Lake Murray and with many years as a leader in the real estate industry, her clients value her knowledge, professionalism, and business experience.